This will make a working mom feel pretty good. Watermelon Ice Cubes: Why have I never thought of this? If I was getting married, I’d register here first. Inside Out‘s quietly revolutionizing message for parents. And as long as we’re on the subject of Quiet Revolutions. Finally, a line of performance wear designed specifically for athletic tween and teen girls. The Best Pizza in America! Strawberry Cheesecake Ice Cream Pie: I mean, come on. And of course, lots of new entries in the Patriotic Food Group this week: Pizza! Fruit Kabobs! Cake! and Cupcakes that literally explode in your mouth. 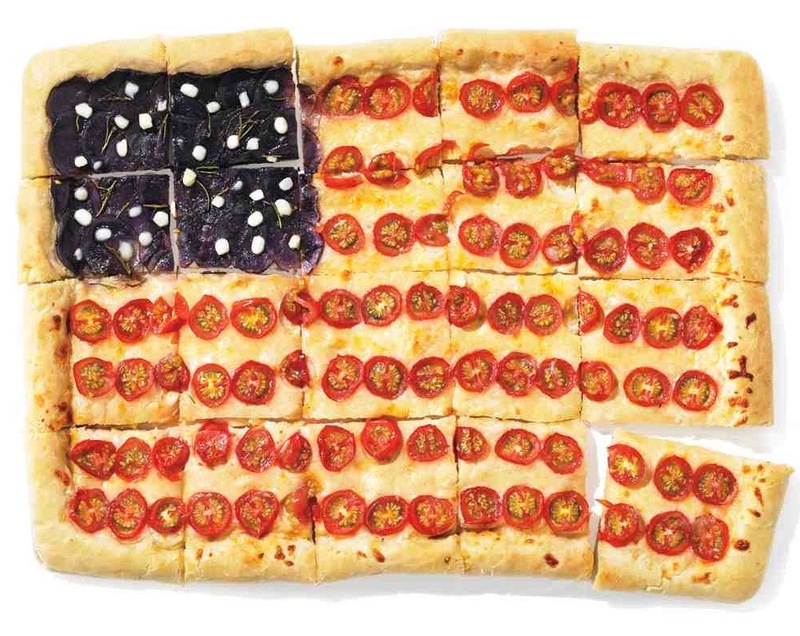 Flag pizza photo credit: Aaron Dyer for Martha Stewart. I watched 4 episodes last night! I was glued to the screen. I usually average about 30 minutes of television a week. I LOVE the article on working moms. Thank you for sharing! I loved Jiro and am now watching A Chef’s Table. I have been to the Australian restaurant Attica twice! It is wonderful it’s definitely a fantasy food experience and the food and service are exquisite. We were lucky enough to be sent there for our wedding anniversary and again as a gift shared with friends. Thank you for link. I couldn’t really binge watch Chef’s Table but I did enjoy it very much!